The effort of finding solutions for persons with disabilities is called accessibility. The technologies developed for coping with certain disabilities are called assistive technologies. In order to work the most sophisticated assistive technologies talk to the usual applications via the Assistive Technology Service Provider Interface (AT-SPI), which was originally invented by the Gnome accessibility project. This paper will give an overview on the accessibility of applications written with KDE 4.x libraries. It will start with an overview about the architecture around AT-SPI. It will show how applications written with KDE 4.x libraries become accessible through AT-SPI. The second part of the paper will be a little demonstration of AT-SPI based assistive technologies. Based on the state of the KDE 4.x libraries it will either demonstrate the assistive technologies with KDE applications or (if that does not work yet) with Gnome applications. This talk will be given by Gunnar Schmidt, a student of computer science at the University of Paderborn. 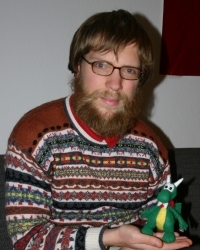 Since 2002 Gunnar Schmidt is a developer of the KDE Accessibility Project. He is currently writing his diploma thesis which involves the development of a full-featured screen magnifier for Linux.